Are you looking for the best personal brand examples? Whether you’re building an online empire or web based business, you need one thing: personal branding. You can’t build a profitable website or business without positioning yourself as an expert. That’s where personal branding comes into play. If you’re looking for some of the best personal brand statement examples and finding ways to improve your overall personal branding, this post is exclusively for you where we’ll be discussing about successful people from Elon Musk to Simon Sinek to Tony Robbins. What is Personal Branding And Why Is So Important? So what is personal branding? Personal branding which is also often referred as charisma is what helps you turn your name into a visionary brand. The best example for personal branding is none other than, Steve Jobs. Whenever you hear the name Steve Jobs, what comes to your mind? Apple, right? Steve Jobs simply became a synonym for the brand Apple. Similarly, what comes to your mind when you hear the word Microsoft? Bill Gates, right? So what’s the importance of creating a powerful personal branding? Do you know who’s the founder of Facebook? We bet majority of the people know that Mark Zuckerberg is the founder of Facebook. But do you know the founder of Twitter? We don’t think majority of the people know who he is (who is Jack Dorsey btw). We regularly use both Facebook and Twitter yet majority of us not aware of the CEO and founder of Twitter. Lack of personal branding. Mark Zuckerberg is so popular because he’s focused on improving his overall personal brand while Jack Dorsey (Twitter founder) might not had given too much importance to personal brand. That’s the reason why majority of the people are aware of Zuck and not Jack! That being said, here are some of the benefits of crafting a powerful personal brand. Above all, you don’t have to introduce yourself! Let’s now discuss about top 10 personal brand examples and we’ll also talk about what you can learn from them to create a powerful personal brand for yourself in 2019 and beyond. Are you ready to find out the best personal brand statement examples? Let’s get started without much ado. If you’ve ever searched on YouTube about sales training, you can easily recognize who Grant Cardone is and what he does. He’s the bestselling author of several incredible books such as 10X rule, world’s #1 sales trainer, renowned speaker, international social media influencer and real estate mogul who’s net worth is several hundred million dollars. What can we learn from Grant Cardone about personal branding? Grant Cardone has accomplished unbelievable things and increased his net worth to more than $300 million dollars despite his “below average” circumstances growing up. That’s the reason why we put Grant #1 in the list of top 10 personal brand statement examples. So what can you learn from Grant Cardone? Think REALLY Big: If there’s only one thing you can learn from Grant Cardone, it is this: think really really big. Grant started his career as a salesman after graduation and saved every penny he earned and eventually was ready to invest all of his savings into real estate. The rest is history and he made so much money in real estate and he also started writing incredible books on sales training, hosted sales seminars, started a YouTube channel, his own TV show and achieved 10x life that he always dreamt of. Despite his busy schedule, Grant makes sure to create at least one video on YouTube which talks about either sales, motivation, business or money. So if you want get ahead in your life, think and perform at 10x levels and be consistent at what you do. Wake up! No one is going to save you. No one is going to take care of your family or your retirement. No one is going to “make things” work out for you. The only way to do so is to utilize every moment of every day at 10X levels. 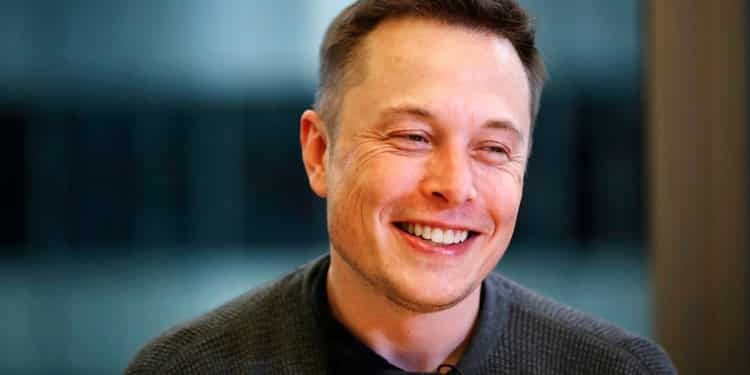 Elon Musk “The Real life Iron man” having worth 19.6 billion dollars (as of August 2019) is arguably the most inspirational, charming person on the earth, who has also plans to colonize of Mars. What can we learn from Elon Musk about personal branding? Recently Forbes declared Elon Musk as one of the top 10 most influential CEOs in the world along with Tim Cook, Mark Zuckerberg, Jack Ma etc. Here’s what we can learn from Elon Musk. Work extremely hard: Here’s a famous quote by Elon Musk (he often works 100 hours a week) that sums up about the importance of working really hard. So if you really want to get ahead in business or improve your overall personal branding, make sure to put extra hours and you’ll be way ahead of your competition. Gary Vaynerchuk is an American entrepreneur, author, speaker and a HUGE internet personality who has millions of followers on social media sites like Instagram, Facebook, YouTube and so on. What can we learn from Gary Vaynerchuk about personal branding? Firstly known as a wine critic who grew his family’s wine business from $3 million to $60 million, Gary knows how to build and grow personal branding and take it to the next level to build an online empire. Really enjoy what you do and crush it: If you want to be successful at anything, enjoy doing it and the same thing applies for improving your personal brand and taking your business to the next level. Gary through his videos and Instagram stories always teaches that if you enjoy doing business, then you will be able to crush your business and inspire people with your work. Timothy Ferriss (popularly known as Tim Ferriss) is an American author, entrepreneur and public speaker who wrote some of the most popular selling books like The 4 hour workweek. What can we learn from Tim Ferriss about personal branding? In his popular book “The 4-Hour Workweek” which is also the #1 New York Times best-selling, Tim Ferriss teaches you how to escape the 9-5, live anywhere and join the new rich. Tim Ferriss walks the walk. He’s worth millions of dollars and also an early investor in billion dollar companies like Facebook, Twitter, Uber and so on. Tim knowns how to build personal branding by writing books. He has written a ton of books on self-help and almost every book he publishes becomes an instant hit, thanks to his amazing marketing skills. He also runs a #1 business podcast called “The Tim Ferriss Show” which is one of the most popular on all of Apple Podcasts and it’s been ranked #1 out of 300,000+ podcasts which is downloaded by millions of people worldwide. Smart networking is what you can learn from Tim Ferriss. He hosts a podcasts, does frequent interviews and also travels around the world to connect with innovative people. If you really want to grow like Tim Ferriss, then start networking like him. Neil Patel is one of the most popular bloggers and considered as the #1 SEO expert in the world. Neil is the co-founder of few huge online startups like Crazy Egg, Hello Bar and KISSmetrics and has a personal blog called NeilPatel.com where he shares how to drive more search traffic to a website or an eCommerce store. What can we learn from Neil Patel about personal branding? Neil helps fortune 500 companies like Amazon, NBC, GM, HP and Viacom grow their revenue and overall profits. He also churns out a ton of content on his blogs and writes guest posts for top blogs like Forbes, Inc and so on. If you’ve to learn one thing from Neil Patel about personal branding, it is being everywhere. Neil contributes to top blogs. Neil writes for his own blogs. Neil does podcasting. Neil travels around the world to give seminars. Neil does webinars and interviews others to build profitable online businesses. Neil does so many things to build and grow his personal brand. So why can’t you? Stop wasting time and start spending more time on growing your presence and you’ll be mesmerized with the results you get in the long run. If you’re into online marketing or affiliate marketing, you probably know who Pat Flynn is. He is an American entrepreneur, influential blogger and podcaster best known for his blog and podcast called “Smart Passive Income” where he shares how to build a profitable business online. What can we learn from Pat Flynn about personal branding? Pat Flynn is known for sharing hiss income reports which are hugely popular where he shares all his traffic and income sources every single month (where he makes at an average of $100,000 every month). So what can you learn from Pat? Whenever we hear the name Pat Flynn, only one thing comes to mind: honesty. Pat Flynn is brutally honest which can easily be seen by his content (be it videos, podcasts or articles). He also reveals everything he knows about building a profitable website or business online without hiding anything. That’s why he’s so popular in the blogging world. Sir Richard Charles Nicholas Branson (popularly known as Richard Branson) is a British businessman, investor, philanthropist and author of several best selling books including Screw It, Let’s Do It!. Richard Branson is undoubtedly one of the best personal brand statement examples you can follow in 2019. What can we learn from Richard Branson about personal branding? 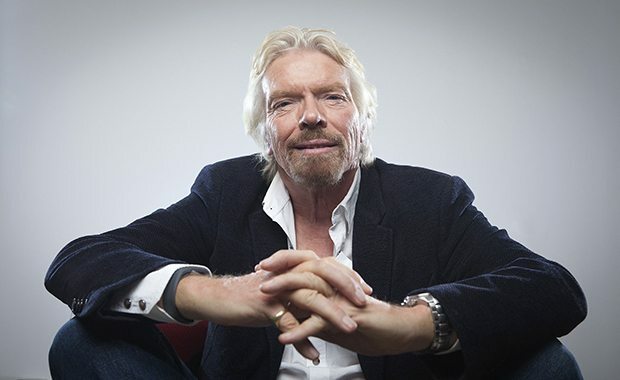 Richard is famous for founding the Virgin Group which controls more than 400 companies throughout the world and he operates his business at a whole new level and inspires millions of people with his working style. Here’s what you can learn from him about building a personal brand and honing it. Become a go-getter: Richard Branson is someone who’s well known as a go-getter. He risks everything he has (if he really wants to achieve something). Whether you know it or not, Richard Branson started his airline Virgin Atlantic in 1984 when his flight from Puerto Rico to the Virgin Islands was cancelled. Rather than waiting for the next available flight, “he hired a plane, borrowed a blackboard and as a joke, he wrote ‘Virgin Airlines’ on the top of the blackboard, ‘$39 one way to BVI,’”. He went out to round up all the passengers who had been bumped and he filled up his first plane. 3 decades after after its launch, Virgin Atlantic is the 2nd largest UK carrier. So if you believe in something, just GO FOR IT. Don’t listen to anyone around you and don’t be like everyone around you. Don’t be afraid of failure and don’t let failure be an option. Give everything you’ve got and make it happen. That’s the key to success. If you don’t risk anything, you don’t gain anything. It’s as simple as that. Anthony Jay Robbins (popularly known as Tony Robbins) is an American author, entrepreneur, philanthropist and life coach who has published several amazing books such as Unlimited Power, Awaken the Giant Within and so on. What can we learn from Tony Robbins about personal branding? If you’ve been following personal branding, leadership or business, you probably have watched or listened to Tony Robbins before. He’s known for his seminars and he frequently travels around the world to provide infomercials and seminars to lift others. What can you learn from Tony Robbins? Tony Robbins makes it his business to know why we do the things we do. Tony often says we all need 6 fundamental needs which are listed below. Once you get hold of the above 6 fundamental human needs, you’ll see great success in life. Lewis David Howes (popularly known as Lewis Howes) is an American author, entrepreneur, and influential podcaster who’s also the author of the book called “The School of Greatness”. What can we learn from Lewis Howes about personal branding? Lewis was also a former professional Arena League football player and he currently hosts one of the most popular online marketing podcasts called The School of Greatness (where he also runs a blog with the same name) which is consumed by thousands of marketers worldwide. Here’s what you can learn from Lewis Howes about personal branding. Strive to be the better version of yourself: The #1 lesson to learn from Lewis Howes is that be a better version of yourself. Improve yourself physically, mentally and emotionally every day. Each day we have the opportunity to learn something new and if you focus on becoming a better version of yourself, you inspire others to live the best versions of themselves. That’s the key to success. Here’s a 10 minute video on how to build a celebrity personal brand statement examples by Lewis where he shares few proven ways to grow your personal branding. Simon Oliver Sinek (popularly known as Simon Sinek) is a British-American author who has published four books including the most selling book “Start With Why”. He’s also a motivational speaker who talks about leadership and business and a world renowned consultant. What can we learn from Simon Sinek about personal branding? Whether you know it or not, his TEDx talk on “How great leaders take action” has been watched by more than 40 million and over 20 million people watched on YouTube. On his TED talk, Simon Sinek talks about a simple but powerful model for inspirational leadership which is starting with a golden circle and the question “Why?” and he demonstrates it by including examples of Apple, Martin Luther King and the Wright brothers. So what can you learn from Simon Sinek? Communicate your vision clearly: Simon Sinek started comunitating his vision on “Start with why” back in 2009 and since then educating people all around the world about it relentlessly. People like Sinek put immense pressure on people who watch his seminars, webinars, TED talks so on to find their purpose or their “why”. So if you really want to grow your personal brand and take it to the next level, know your why and start communicating your vision clearly for the years to come. If you’ve gone through the above top 10 personal brand examples, we clearly explained one lesson you can learn from each one of them. Here are few more effective tips you can use to create and grow your personal branding in 2019. 1. Start a blog: If there’s a simple yet most effective way to build and grow your personal branding online, it is this: start a blog. A blog helps you easily share your thoughts, showcase your portfolio, engage with other influencers online. Make sure to create and publish the best content that you possibly can including text, video formats so you can grow loyal audience around your blog which will be helpful for you to grow into a huge brand in the long run. If you’re wondering about how you can start a blog, here’s a simple tutorial on launching your blog in 10 minutes (along with all the screenshots). 2. Build credibility by publishing a book: This is a less known tactic to build and grow your personal brand. Whether you know it or not, almost all of the people mentioned on this list had written at least one book. From Grant Cardone to Neil Patel to Pat Flynn, everyone had at least one best selling book either on Amazon or NYT. In this digital world, you can easily self publish a book on Amazon, Apple and on your own blog and get paid for it. More than money, publishing a book helps you hone your personal branding and takes it to the next level if your book is a success. 3. Always be teaching: Nathan Barry from ConvertKit always says one thing: “Teach everything you know and that’s how you build a profitable business”. Don’t hold and make sure to share your knowledge as much as you can. If you observe the list of people we included in this top personal brand examples, you’ll notice that almost all of them teaches something. Grant teaches how to sell and Neil Patel teaches about content marketing and the list goes on. Teaching everything you know is not only is it great gift for your audience but it will also help grab attention that can convert into sales in the long run. Everyone has something to teach anyone. So find out what you can teach others that can help you grow your personal brand in the long run and do it consistently. 4. When everyone zigs, you zag: It’s always better to chart your own path instead of following the remaining crowd. It doesn’t matter whether you want to craft your personal brand or build a long lasting business, you need to create your own path. Be unique, think BIG and make sure to learn from your mistakes. That’s the only way you can grow big and inspire others with your personal brand. After all, if you can’t inspire others to take action, there’s no point of building and growing your personal brand. 5. Fail and fail often: Most people get stuck once they see failure. The same applies even for personal branding. If you don’t see great results while building and growing your personal brand, don’t quit. Always remember that, children learn how to walk by getting off the seat and hustle until they can make steps on their own. That’s how you should look at your business too. Failure is often the stepping stone to success in the long run and breaking the rules is one of the best ways to learn fast. So fail and fail often. Building a personal brand is not a rocket science, it’s more of an art. You need to find a unique need and try to solve people’s needs if you really want to build a long lasting presence in your industry. Hopefully this post on what is personal branding along with personal brand examples listed on this page can be useful for you to create and grow your personal brand. If you still have any questions, share your thoughts in the comments below. Nice list of bloggers. These are some of the personality who are masters in their field and know how to brand themselves. Mine favorite is Pat and Neil. I love to read their articles as they are always very helpful. Thanks for sharing these awesome post. People like these are inspiration for any individual who are thinking of doing some think big and achieving high standards in life.These stories really motivate us. As a beginner in business looking to make branding in the market , The people like these are inspiration and the ideas from them are very valuable, thanks for sharing the article.